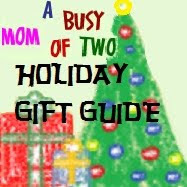 I have reactivated my Holiday Gift Guide on the sidebar. Many of the posts are from years past and the offers listed may not still be active, but the ideas are still relevant. I hope to add to the list of ideas over the coming month, so come back and check it out. As a participant in the Tryazon Ozobot Party, I received an Ozobot party pack which included a complimentary Ozobot Evo for my family and a guest. All opinions expressed are my own. Growing up, I never thought anything about being interested in science and math. In fact, I knew from a young age that I wanted to be an engineer, although honestly, I'm not sure I really knew what an engineer was. Coding was something that was still 'new' when I was growing up, at least non-punchcard coding, but I had several opportunities to experience it in fun ways through camps and classes. I can remember first learning on an Apple Desktop computer and on a TRS-80 in math class in junior high. I even had a chance to go to a three week long summer camp in high school where I learned to program to create drawings. That knowledge base has served me well in my career too. As a mom, I look for ways to bring STEM concepts to my kids in a fun way, such that they don't always realize that they are actually learning. When I first learned about Ozobot, I was intrigued it looked like a fun interactive toy that would help my kids learn about the basics of coding. Then, in late summer, I was invited to participate in a Tryazon party to check out the new Ozobot Evo and share it with friends and family. I was very excited to get the chance to let my kids and their friends play with the Ozobot Evo. I didn't mention it to the kids until the party pack arrived. My daughter was so excited, wanting to know when we could open them and play with the Ozobot. I love the packaging that the Ozobot Evo came in. Once opened, there are cute little 'drawers' that hold the charger, the markers, and the skin. There is also a pocket that holds the play mat and the top allows you to store the Ozobot Evo easily. We started with the Experience Pack (available free on their website for Ozobot Evo owners). 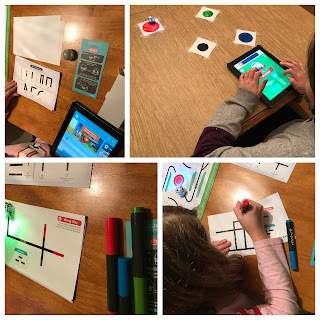 It introduces the kids to Line Navigation, first with basic pre-drawn black lines and then engages the kids by having them draw black lines that the Ozobot can follow. As they work through the Experience Pack, they are awarded with stars on the Ozobot app and learn about the color codes that can provide direction to the Ozobot Evo. These color sequences can tell the Ozobot to spin, to walk backwards, turn right and more. The experience pack includes a code reference sheet. The set comes with markers, but we found that if you have good markers you can also use standard markers to make lines to navigate and color sequences to tell the Ozobot what action to take. This is very helpful when everyone wants to make their own set of lines for Ozobot and you only have one set of official markers. Everyone had fun playing and exploring with Ozobot. After tackling the Experience Pack, the kids explored using the app to control the action of the Ozobot Evo. Then, they moved onto OzoBlocky on the app which allows them to drag and drop coding and create loops of the activity. With five levels from novice to master, OzoBlocky allows your child to do progressively more challenging code concepts. Once the code is assembled, load it to the Ozobot Evo and they can see their code in action. At this point, my kids have only touched the surface of the games and learning opportunities within the app. My daughter really wants to explore racing with two Ozobots and has found continuous lines (both loops and intersected loops) on YouTube that she is experimenting with and discovering new ways to play with the Ozobot Evo. I think this is a great toy for kids to explore coding concepts through interactive play. One mom at the party talked about how this would be a great alternative for a child that is in to video games, as Ozobot Evo can provide learning and exposure to coding through interaction. Which is a great alternative to some of the video games that are out there. You can learn more about Ozobot, the Evo and the Bit and explore the App and other available resources on their website. Ready to buy? Right now, for a limited time, you can save on the purchase of you own Ozobot Evo by heading to their website and using the coupon code OzobotParty1517 to save 15%. Taking advantage of the drive on a last minute family fall vacation, I read several books in the last couple of weeks. 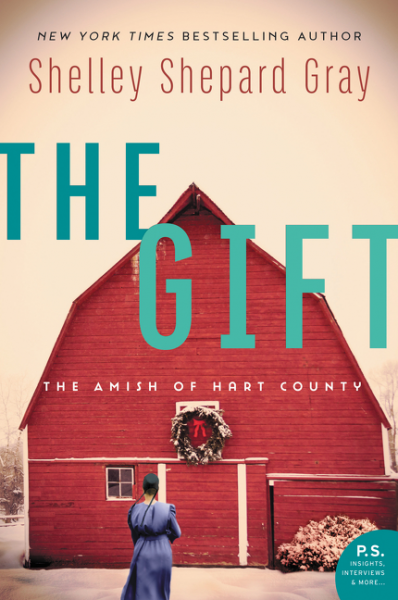 One of them was The Gift by Shelley Shepard Gray. Set during the holidays, it opens with a bit of mystery as Susanna Schwartz finds herself in an overturned buggy accident as a result of shots that were being fired, seemingly at her and her horse. Fortunately, someone is there to help comfort and protect her until help can arrive. New to the community, she does not know her rescuer or the connection that they have. As the story unfolds, other accidents and incidents continue, leading them to wonder if her family is being targeted. As has been the case with the other books in the Hart County Series, this book was captivating, suspenseful and had me hooked from the beginning. It was good that I was reading it on the car ride, because there were only the few questions from the backseat and the occasional stop to interrupt my reading - so different than reading a few minutes before bed each night. The twists and turns kept me guessing on who could be targeting the family and in the end, I was convinced it was different than was ultimately discovered. The story shared of one family's loss and another family's opportunity, of pride and jealousy, of the strength that can be found in family and the importance of hope and forgiveness. I enjoyed following the story as Susanna and Neil became unlikely friends and even found their feelings for one other developing deeper. 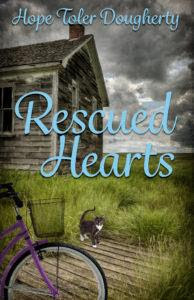 I look forward to reading more from Shelly Shepard Gray especially the suspenseful novels she is writing as part of her The Amish of Hart County series.